This dissertation studies adaptations of monastic literary culture between the first decades of the fifteenth century and the beginning of the English Reformation. My discussion focuses on the writings of John Whethamstede, John Lydgate, Richard Whitford and Thomas More. I argue that, while these authors aim to satisfy readers’ desires for elaborate and authoritative forms of piety, they actually provide models of reading and patterns of disciplined living that restrict lay piety within orthodox boundaries. I begin with an introductory chapter that situates this adaptation of monastic reading within broader literary and cultural developments, such as the growing popularity of humanist reading and Protestantism, in order to demonstrate that monastic ideals remained culturally relevant throughout this century. This chapter also aims to prompt a further reassessment of the division that is often created between the medieval and early modern periods. 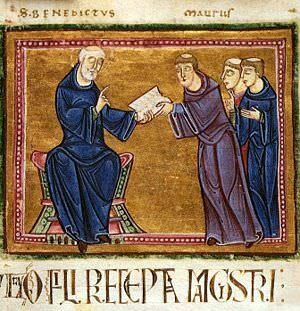 Chapters Two and Three focus on the use of monastic reading practices within a Benedictine context. Chapter Two examines the historiographic poetry and prose of John Whethamstede in which the abbot both positions himself at the forefront of contemporary Latin literature and, at the same time, signals the differences that set the cloistered reader apart from his secular counterpart. Chapter Three examines Lydgate’s incorporation of monastic devotional culture into the Life of Our Lady through the depiction of the Virgin as living out an exemplary religious vocation and through the arrangement of the text to facilitate calculated meditative responses from readers. Chapters Four and Five then shift to the first decades of the sixteenth century. Chapter Four examines Richard Whitford’s orthodox programme of monastic and social reform that aimed not only to meliorate the individual’s ethical life but also to revitalize Catholicism and engage directly with Protestantism. Finally, Chapter Five looks back two decades to investigate More’s borrowings from different elements of religious life in his Life of Pico and Utopia that seek to manage the spiritual aspirations of the laity and to depict a society in which, much as in a monastery, the desires of the individual are shaped by and subordinated to the ideals of the community.